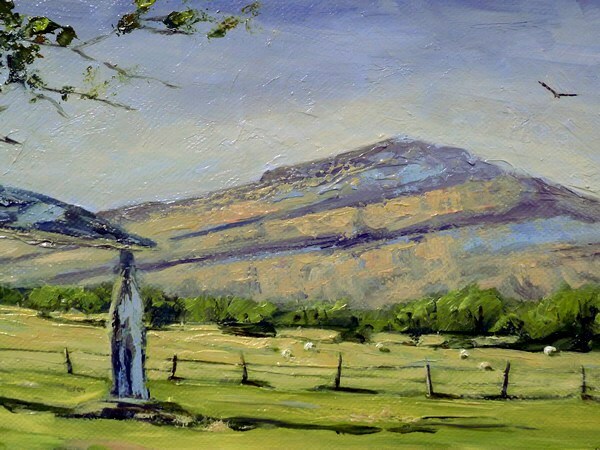 A painting of Pentre Ifan in the Preseli mountains of West Wales. Behind the ancient stones, in the distance, you can see Mynydd Carningli ( Angel Mountain ). 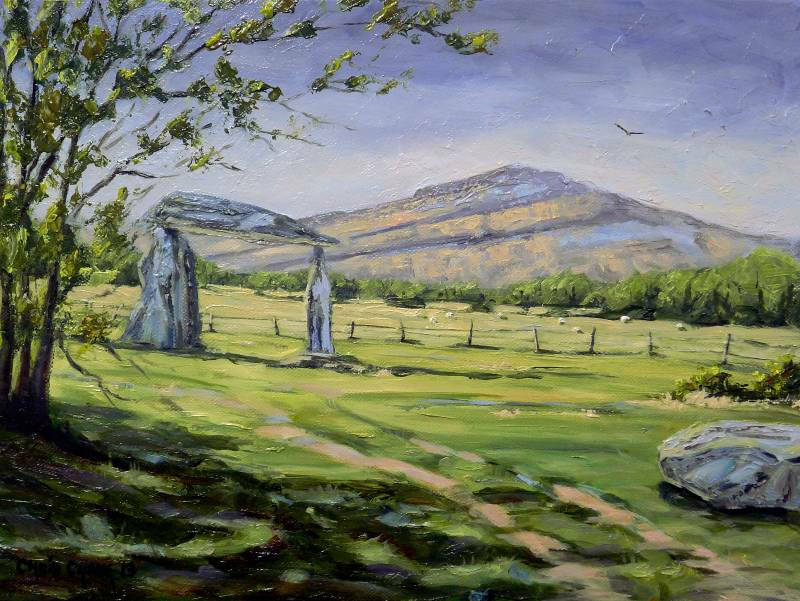 Pentre Ifan is a very mysterious and beautiful place to spend some time, with Red Kites being a common sighting here. 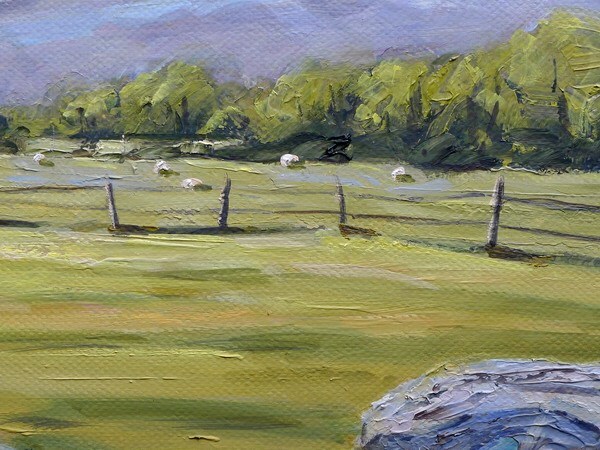 I used lots of sumptuous paint to create the texture in the standing stones here.